We act as a liaison with many state agencies including the Department of Motor Vehicles (DMV), Public Service Commission (PSC), Department of Transportation (DOT), State Police and State Tax Department. 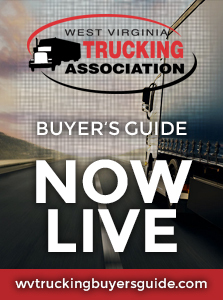 We work closely with the American Trucking Associations on federal legislation and governmental affairs. We supply a monthly newsletter, Highways & Byways and various timely bulletins throughout the year on specific issues. We have a web site, www.wvtrucking.com, which supplies a vast array of information to keep members informed, as well as links to other industry sites. Members are urged to call the WVTA office at 304.345.2800 anytime with questions concerning any matters that affect their business. Promoting the safety or our members and the public is very important to us. Each year, we conduct a Truck Driving Championship (TDC) and hold contests for fleets safety awards and driver awards, including West Virginia Driver of the Year. We hold an annual convention for members where they gain information at our business sessions and network with others in the industry at social functions. With the many tough issues that our industry faces, it is important for us to have candidates in office that understand our industry. The WVTA PAC gives us the ability to donate to business friendly candidates with whom we can work in the State Legislature. Any firm, company or corporation owning or operating motor transport vehicles shall be eligible for membership in the organization. Individuals, firms or corporations having any interest in the trucking industry shall be eligible for allied membership. Individuals, firms or corporations having no interest in the West Virginia trucking industry but desiring to be affiliated with the association for business reasons shall be eligible for non-voting participating membership. Our current discount with Brickstreet is 2.7%. Be a member of the West Virginia Trucking Association. NPP provides our members with exclusive discounts and special offers on a wide range of products and services from some of the nation’s prominent companies. This program is free to our members and there is no obligation to purchase products or services after you sign up for your NPP membership. 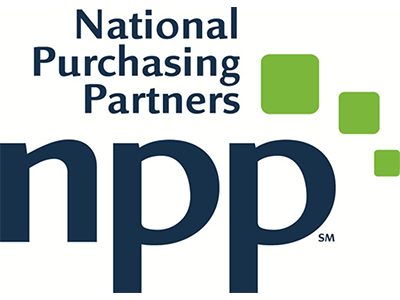 NPP negotiates discounted pricing from leading vendors to help save you money on everyday purchases or monthly services. Receive significant discounts on wireless calling plans, as well as other discounts on accessories, devices, smartphones and text message plans. Eligibility requirements apply. Visit NPP to find out more and to enroll for free. Discounted, contracted prices on over 30,000 supplies and services. Free next-day delivery on standard orders over $30. Enroll with NPP and start saving today! Best Buy for business offers top tier pricing on over 150,000 items. Discounts vary upon item category. Enroll with NPP and start saving today! Members are eligible to receive special pricing through NPP. Discounts starting at 10% off new or additional subscriptions. Custom pricing and rebates available for subscriptions that meet or exceed annual spend requirement. Enroll with NPP and start saving today! Airgas is a leading single-source supplier of industrial gases, welding supplies, & safety equipment, offering top-tier pricing to NPP members. Enroll with NPP and start saving today! In addition to our workers’ compensation discount program, we also offer a variety of other discounts, including shipping costs with UPS, services through Vigillo and products from J. J. Keller.